After over a year of evaluating burgers we began to ask ourselves, if we went back, would the top 5 burgers still be as good? Cooks change, owners change, or maybe we just got lucky on the day we went. Well, I’m happy to report that the Top 5 burgers were still great and their ranking did not change! 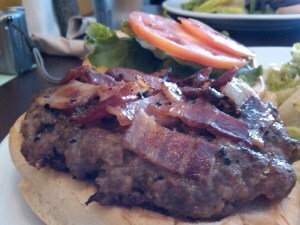 We rated “consistency” for the return visit and the Charlee’s Peppercorn Bacon burger had changed a little. 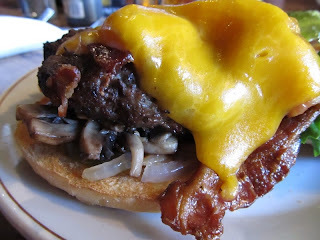 It no longer had the bacon pressed and cooked into the surface of the patty; instead there was now a generous layer of bite sized bacon. Eighteen of us revisited the Ellice Café the week it was closing. The service and food were as great as ever. 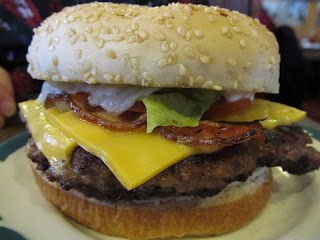 I’m sad that I can’t have a Bravo Burger any more. The consistency at Original Joe’s slipped a little only because the shiny buns that we enjoyed so much on the first visit were over baked for the return trip and were a little dry. How can we get in touch with you Tim? Our restaurant would like to invite you in for a review. I'll just post the message for you here. Lovey's is known for great BBQ, but we're also extremely proud of our burgers. 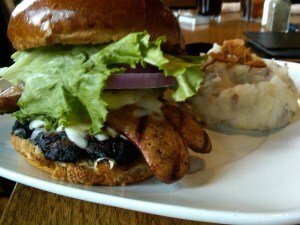 We'd like to invite your club to come down and try our burgers - especially the renowned terminator burger. Are you burger fanatics up for the challenge? 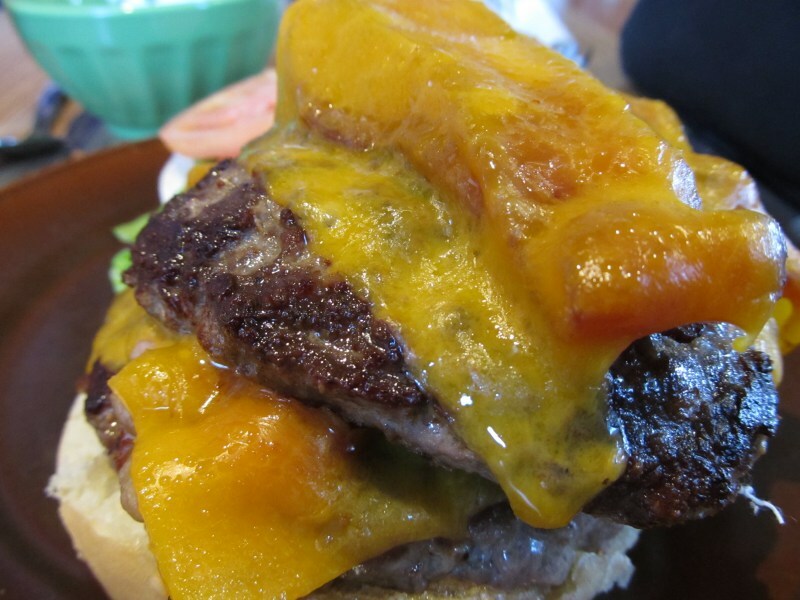 I've added Lovey's BBQ to the list of burger "Contenders." I've tried it - it's good!